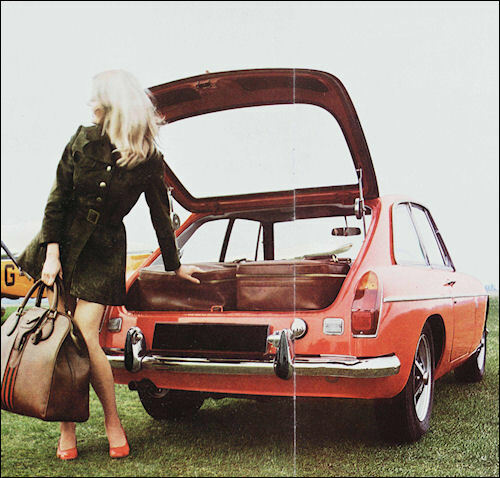 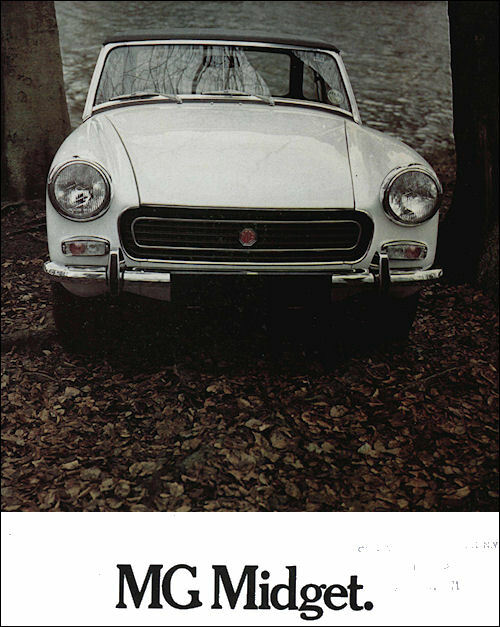 The MG 1300 (which began its existence as the MG 1100) is basically the British Leyland 1100/1300 with transverse four-cylinder engine, front wheel drive, and Hydrolastic all-independent suspension. 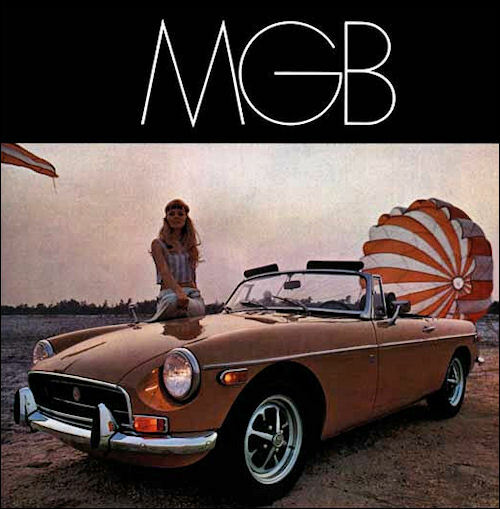 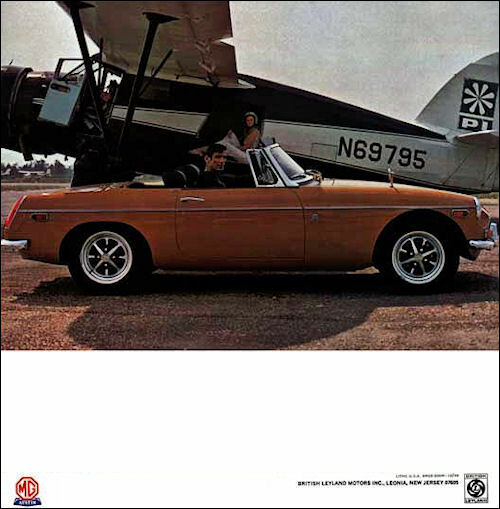 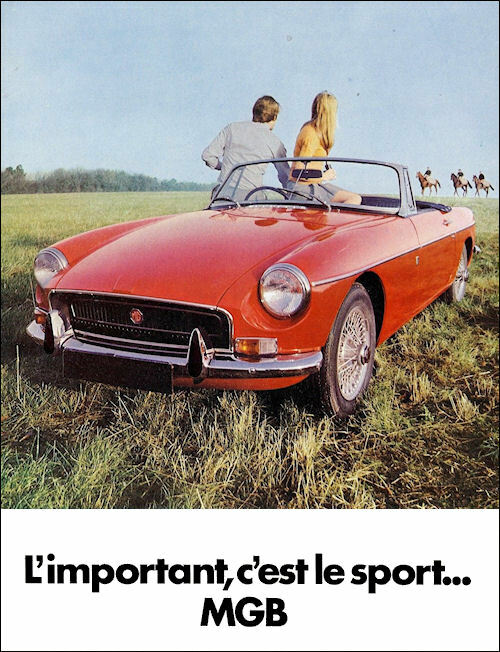 The MG comes in two-door form only and has a twin carburettor engine with compression raised to 9.75:1. 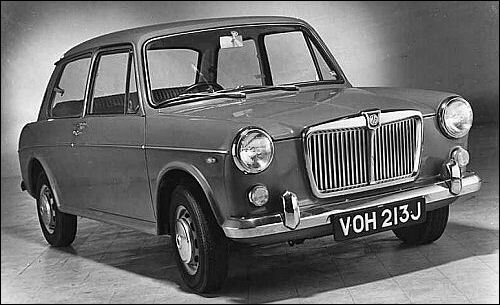 Result, a lively 90-plus m.p.h. 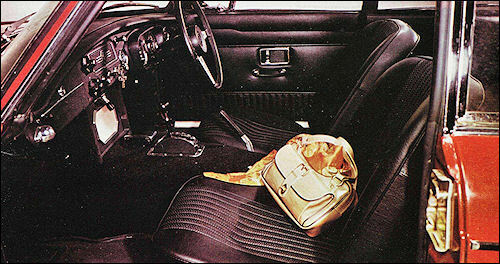 miniature luxury car, with room for four. 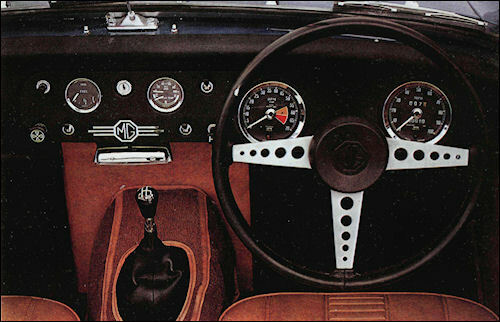 Particular attention has been paid to good seat shape, and the instrument-infested dash will appeal to the sporting family driver. 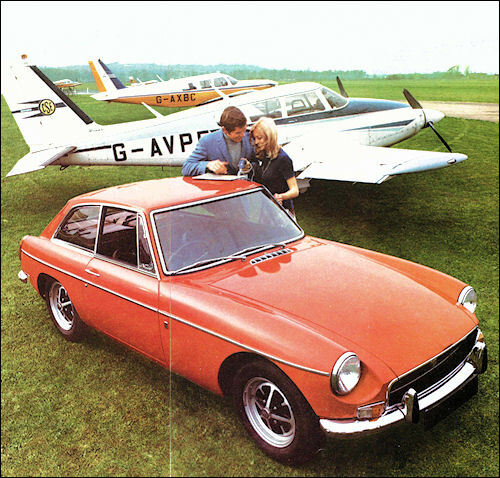 Currently the largest-engined MGs made at the Abingdon-on-Thames works, the 'B' and 'GT' are open sports two-seater, and a '2+2' coupe respectively, although the latter's rear seats are very restricted. 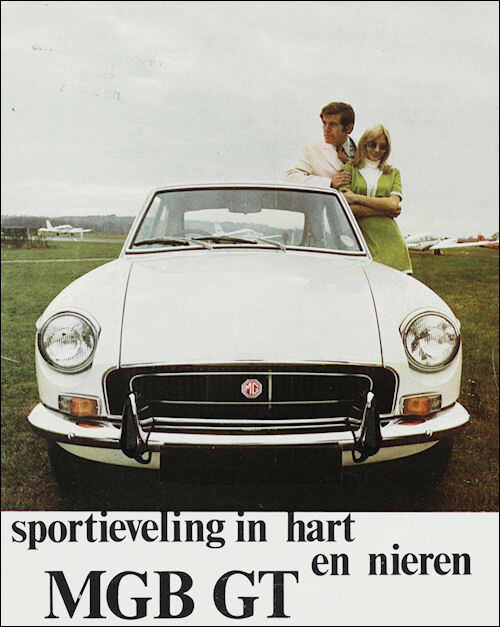 Since last year both models have been extensively restyled with sporty new wheels and interiors, and the leather seats, so long a standard fitting on the larger MGs, have been dropped in favour of embossed plastic. 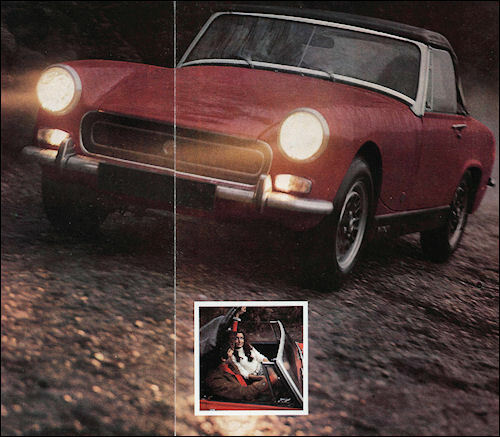 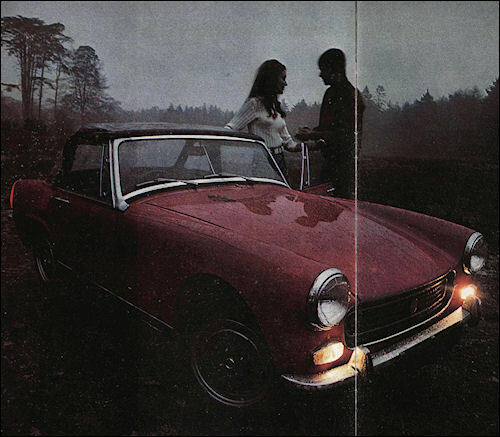 For 1971 the popular open model has a new super-hood designed by Italian Michelotti, and there are courtesy lights, new bonnet stays, and improved fresh air heating.